If you have read the Arm Pump Elimination System Nutrition Chapter and in particular the need for water, sodium and potassium, you’ll definitely want to know how much is in your daily diet so you can add salt and potassium as needed. Below is a PDF from the USDA that you can download and use for reference. We have also provided a link so you can use the USDA’s website to do specific searches. 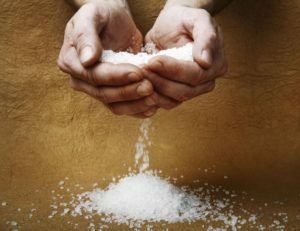 If you are adding salt to your food please remember that a teaspoon of salt contains approximately 2,300 mg of sodium.